In the series following on from the tongue-in-cheek article Twelve Rules of Writing, we are up to rule 9 and the subject is exposition. 9. How should I deal with exposition? Here the old ways are best, I’m afraid. First tell them what you’re going to tell them. Then tell them. Then tell them what you’ve told them. If they haven’t got it by then they should be reading something simpler. But isn’t the rule: Show, Don’t Tell, I hear you ask? A simple question: do you tell a story or show it? Showing is for dogs and horses. Exposition is a key part of writing, especially in Fantasy where the world you are portraying may not function like the real world. Often the plot and character action is driven by the difference between the real and imaginary world, and the temptation to explain what the differences are and why they’re there is enormous. If you give in to temptation, though, what emerges is flat and uninteresting explication, and in the worst cases all sense of the story is overwhelmed by the author explaining some aspect of the world directly to the reader through the voice of one of the characters. It’s as if they’re saying, “I had to work all this stuff out, so you’ll have to listen to me explaining it”. Of course, no-one sets out to write a story in this way. They set out to tell the wonderful story in their head, but in order to tell it they get bogged down in detail and the tale is overwhelmed by exposition. One character explaining to another character something they should both already know. There is no purpose to this conversation. Bob already knows about the mushrooms and the only reason to mention them is so that the reader knows too. However, it may be essential for the reader to know about the mushrooms for the purpose of the plot, so getting the information across becomes important. This can be achieved by bringing in new information, and adding conflict. Long passages of factual information (will there be a test later?). The castle stood on a basalt outcrop riven by time and etched with the passing of years, formed when the world was young from the extruded molten rock from the volcano beneath it, which cooled and solidified to form the foundations seen now as the dark rocks of the….etc. etc. If you find yourself writing long descriptive passages with dense factual information, ask yourself: If I take it out, does the story suffer? If not, it’s fine to keep it in to give you a strong mental picture while you are writing it, but lose it at the edit stage. If the reader really does need to know this, make it immediate and personal and keep it to the relevant information. As Jamie trudged up the long path to the castle at the top of the high outcrop, he could feel the heat from the black rock through the soles of his thin sandals. Sweat ran in to his eyes as he peered up at the high walls, the heat of the day reflecting dully from the igneous basalt. Sections which detail quantity or measurement. The river crossing was particularly difficult as the banks were now seventy two yards apart and the river over ten feet deep in the centre, and though there was a ferry, it cost four crowns and three shillings, which was more than the three crowns, twelve shillings and fourteen pennies that Karum had in her purse. As a writer, you need to trust your reader’s imagination and let them do some of the heavy lifting for you. Ask yourself, do they really need to know how wide the river is, or how deep? Would the character be able to measure it, and if so, to what purpose? Aren’t they more likely to make a snap assessment? Karum emerged from the trees onto a wide pasture, a water meadow where cattle grazed when the river was not in flood. Even though at this season the river flowed within its banks she could see that it was too deep to ford. She emptied her purse into her open hand. It would not be enough for the ferryman. She would have to find some other way. In spite of the ancient custom that men would never wear hats in the temple, Jim’s father refused to doff his cap within it’s precinct because the shiny pate of his head would catch the light from the golden statues in the courtyard, making his bald head look yellow. “Take your cap off,” whispered Jim. Jim’s father looked into the courtyard where the golden statues reflected the afternoon sun. He looked at the back of his hands. The yellow light already tinted his skin a sallow and sickly colour. He could feel the sweat on his bald pate under the cap. “I’ll leave it on. It’ll be fine,” he said. The use of a prologue to set the scene is particularly prevalent in fantasy. Usually it involves the settling of some ancient conflict which then has consequences for the characters of the story many years later. Setting aside the cliché, we should look at the reason a prologue is used. Most often it is to explain what the story is about so that the actions of the characters can be seen by the reader in the context of that ancient conflict. This is exposition, placed boldly, right from the first page, and is likely to result in rejection from publishers and agents, who see this a lot and will be unlikely to read on to discover how original and brilliant the rest of the story is. But if your story relies on an ancient and forgotten conflict to explain the actions of your characters, how do you deliver that explanation without resorting to exposition? For this we turn to the secret intelligence services for inspiration. Adopt the MI5 approach and deliver information on a need-to-know basis. Only explain back-story (using the techniques outlined above) when the character has earned the right to know and has an urgent and pressing need for that knowledge to guide their actions. It makes the revelation timely and relevant, slotting into the story in a way that feels natural for the character, and adding depth as a new context is revealed for the events to that point. It avoids the reader having to memorise the detail in the book in order to enjoy it – after all, this isn’t supposed to be a memory test. Your reader may have to put the book down for a week or a month, and it would help if when they picked it up again they didn’t have to start leafing back through it to understand what’s happening. It allows the characters to discover the information through the events of the story rather than having it explained, leading to mystery culminating in revelation. This is a powerful tool for story-telling, which builds empathy between the characters and the reader as the reader asks themselves; if I discovered that, what would I do? All this comes back to showing the reader what’s happening through the actions and discoveries of the characters, rather than telling them through exposition or by narrating through a character voice. Letting the story emerge at its own pace allows you to increase the suspense and develop depth and complexity, so that the characters shine through. So it seems that showing is not just for horses and dogs after all, but for authors too. Only books with specific numbers of words ever get published. This is why many books never see the light of day. Once a word-count has been used, though, it can’t be re-used, which is why books are different lengths. The exact number of words required is a secret of the industry and is only known by editors and publishers, which is why they are often published authors in their own right, as they know what number comes next. Try counting the words in recently published books to try and guess the next number in the sequence. There are a surprising amount of questions about how many words are required in order to increase your chances of publication and there is a lot of misleading advice out there, which is why Rule 8 exists. It’s as if somewhere there is a magic number of words that will appeal to all publishers, agents and editors. So let me be clear: There is no magic number. There are, however, better and worse answers to the question, and that’s what this article is about. As an initial and purely practical guideline, between 70K (70,000) and 150K words in a good number to aim for in a first novel. These aren’t hard numbers. 65K might be okay and 160K might also be fine, although once above 150K words you are starting to reach the physical boundaries of a printed paperback. Font sizes may have to be reduced and the binding may require special attention to prevent splitting when you open it. This can increase the unit cost of publication. That does not mean that books will not be published outside these boundaries. As an example, my first novel, Sixty-One Nails is 154K words and because of that the font size is very slightly smaller than normal. Genre plays a part – The Eye of the World, the first in Robert Jordan’s Wheel of Time series, was 305K words. 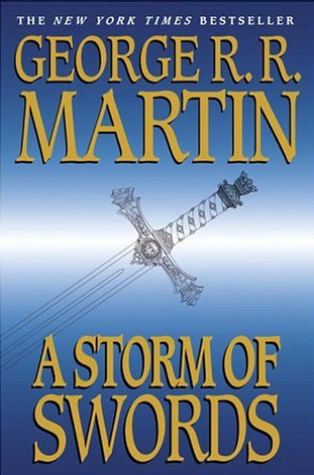 George R R Martin’s: A Storm of Swords is 404K and runs to over 1,000 pages in paperback. There is even an acronym in the industry, BFF, which stands for Big Fat Fantasy, for exactly this type of book. Similarly, below 70K words novels start to look a little thin, and the font size and line spacing may increase slightly to give a book a bit more heft. Too much below 60K and the reader starts to feel that they might not be getting their money’s worth, the spine get’s thin and the book vanishes on the shelf when edge on. Below that we’re talking more novella than novel. But once again, there are exceptions. Stephen King’s: Gunslinger, first of The Dark Tower series is 55K words. 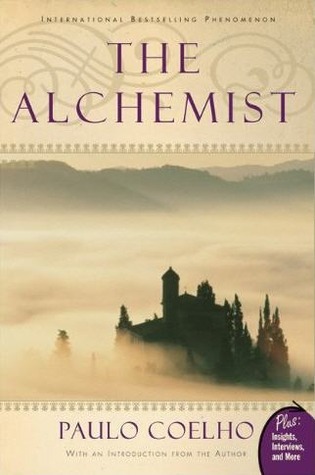 Paulo Coelho’s: The Alchemist, is about 45K words, which is well into novella size, but they were both successfully published and sold very well indeed. John le Carré’s: The Spy Who Came Into The Cold, and Ian Flemming’s: Casino Royale, both fall into this category as they were published at a time when thinner books were more prevalent. When a publisher takes on a new writer, they take a risk. There’s a chance that the book won’t sell and they’ll end up crediting the booksellers for all the unsold stock and swallowing the cost of publication and distribution. If the book is more expensive to produce then the consequences of that risk become greater, so publishers can be reluctant to publish a new author’s book if it costs more to produce, especially if there’s a shorter book from another author that’s just as good. While word-count will not prevent your book from being published, it will have a bearing on the decision an agent or publisher will make. They will look at the risks and the opportunities and make a judgement call. They have to look at their market and decide whether readers will buy what you’ve written for the price they can produce it. Part of the craft of writing is learning when to cut and when to expand. It’s not a matter of writing to a particular word-count, but rather learning to step back from your work and understand where a thin story needs more meat and a fat story can be pruned to remove distracting detail. The expectations of your audience and the current conventions of the genre are the guide here rather than any arbitrary number. The trump card is the writing. If you can make your story stand head and shoulders above anything else on offer then the word-count will be irrelevant. Short Stories: Yes or No? If Mr Steinbeck isn’t ready to write a novel then you certainly aren’t. That last bit is the key part. What it says is that because someone else – even someone as erudite and literary as John Steinbeck – found the path to becoming a writer through writing short stories, then you must also. Encapsulated in that sentence is the assumption that there is only one way to become a writer. I have been told to my face that it is impossible to be a published author without a string of short story credits to your name, which is interesting because I had two books in print before I released anything at all in the short form and I do not have a drawer full of short story drafts waiting for daylight. The response to this? I am the exception that proves the rule. But as we are rapidly discovering , they’re not so much rules, as guidelines. There you have it – there is no recipe, no formula, no path mapped out or way described. The whole point is that you have to find your own way and you have to do it for yourself. So where does the short story advice originate? Why in so many places does it say that you should write short stories before you write a novel? There is a good reason to write short stories, and it is entirely practical. It is much harder to criticise your own work than someone else’s. As the author of a piece of writing you are blind to its weaknesses because you created them. If I were to offer a single piece of advice to anyone with ambitions to write it would be this – get involved in critique. Join a critique site, form a writers group, find other people struggling with the same issues and share your writing. Critique theirs and get them to critique yours. And if you’re going to critique work and have your own work critiqued, you’re going to find that’s much easier with a short story than with a novel. People don’t have time to read 100,000 words for you, particularly if the same mistakes are repeated over and over, which they likely are. And there is a good reason not to write short stories too. The short story is entirely different in structure and nature to a novel. They have the basics of grammar and punctuation, voice and technique in common, but writing short stories will not teach you how to plan, structure and execute something of novel depth and length. There are things you can do in a novel that are not possible in a short story and to learn how to do those things you will need to practice novel-writing. Writing short stories will reach you the basics, and the skill of constructing short stories, which is an honourable pursuit in itself. It will allow you to short circuit the long and painful experience of writing a novel only to find out it’s rubbish and you need to start again. However, if you are a novelist, and not a short story writer, then that is what you will have to do. You will write, and re-draft, and write again to perfect your art, because that’s what novelists do. As part of my continuing series on Writing, this article is about writing for your senses. Here’s a refresher for those who missed the original article. Some writers make the mistake of only writing for the visual sense. In order to increase the depth of your writing you need to engage the other senses too, so when you are writing about a particularly romantic sunset, you will need to explain how it smells and tastes, as well as how it looks. If you are writing about a sunset and you don’t know how a sunset tastes, you have already broken rule 1. In fantasy, the sense of place is often overlooked as the writer engages in creating their world. They create gleaming towers and forbidding castles, forgetting that people have to live somewhere and grow things to eat. Creating an imaginary place is harder, in some ways, than setting your story in a real place. You have to imagine not just how it is, but how it came to be like that. Terry Pratchett does a fantastic job of this with Ankh-Morpork and, however unlikely a place it seems, you know the twin cities evolved from real places with real histories. Readers carry around with them a huge knowledge of the world, and as a writer you can use that knowledge to evoke a sense of place in the mind of the reader and bring a place to life. To do this, you need to develop the eye of a photographer, and start looking at the world around you with a new and inquisitive eye. Develop a curiosity about strange names, oddly curved streets, eccentric landmarks and historic buildings. Each place has its own story, and that story can feed your story. However, not every character reveals their purpose immediately. In your first draft, be tolerant, let characters hang out and discover their purpose by interacting with others. Let them develop, mature and come into focus. Only if you get into editing and you still don’t know why a character exists should you excise them from the story. It is easy to get lost in the dreadful happenings with which you are torturing your characters. If you are writing well and things are flowing then you will be caught up on the action and driven to the end. At these times you may need to remind yourself that life has a sense of humour, and that by echoing that humour and letting it resonate through your darkest times, you lift the entire story and give it depth and flavour that undiluted dread never has. Remember to make them smile while you’re persecuting them. If you are writing stories, and especially if you are writing fantasy or science fiction, it is important to give your characters something to fight for, and what better to fight for than their existence? In fact, why stop at their existence? Why not have them fight for the existence of time and space itself? Either they succeed in their quest or the universe ends. This is where you need a sense of proportion, for it seems that size does matter after all, but not in the way you perhaps thought. Let’s consider – if the universe ended we would all be dead. Would we care then? Annihilation is not the threat it seems to be. The death of everything just isn’t personal enough. Small things matter. A robin who carries a worm back to the nest to feed its chick, only to be caught and killed by a cat as it tries to land, matters more to us than a planet crashing into a star in fiery doom. We can empathise with a bird, or even with the worm, but not with a planet. You are the most important person in the world to you (parenthood notwithstanding). Your loved ones are next. Your close friends after that. No-one can truly care about people they don’t know and have never met. So if your story does not allow you to meet and know the people involved, the reader will not care. It is what happens to those people that matters, not what happens to the universe. As a fantasy writer you would expect me to say that a sense of wonder is important, but I think this transcends genre. Even in a fantasy novel, a sense of wonder does not necessarily come from magic. It can come from the cry of a new-born baby, or a person suddenly realising an inner truth. It can arise from revelations in the plot or from the discovery that a character you thought you knew can do something truly unexpected and still be true to themselves. However it arises, a sense of wonder brings light into someone else’s existence, gives them the strength to overcome their own difficulties and can, at its best, change someone’s life. More than that, it is a gift given to strangers, without expectation of reward, which restores our faith in human nature. Creating characters is difficult enough, but you must also make them three dimensional by describing them in excruciating detail. In order for your readers to be able to picture your character in 3D, they must know what underwear they have chosen and whether they floss their teeth. It may help if you can get your readers to wear those cardboard spectacles with red and green filters. This is one of the most cryptic pieces of advice to new writers – Make your characters three dimensional – make them stand out! It made my comment about the red and green glasses all the more poignant until my son reminded me that it was all done with polarized light these days. Writing advice like this is not very helpful unless you already know what three-dimensional characters are supposed to be, in which case you probably don’t need the advice. So what do we mean? Be aware that we are not talking about deep or shallow people as characters – it’s perfectly possible to have a shallow, superficially person as a character, represented in a way that would give them depth – someone profoundly shallow. It’s the way they are portrayed that is key to the depth of a character. Find out what drives your characters. When you are writing a character, a key question is to know what they want, and what they will do to get it. Make sure they want something, even if it’s to be left alone. If they don’t want anything, why are they in the story? Give them an outlook on life. Are they a pessimist or an optimist? Are they confrontational or withdrawn? Do they have an attitude problem or are they a shrinking violet? Crucially, how do they deal with conflict? We all know people who deal with opposition in very different ways, and conflict is crucial to stories. Once you have outlook and motivation, think about what made them that way. What happened to them in their life that colours their decisions and guides their actions? What’s their story, and how does that colour their responses. The temptation will be to include this material in your story, after all, you spent time and energy coming up with it, so why not use it? The danger here is that you get side-tracked into back story and lose the thread of the narrative exploring character background. The back-story can be revealed, but only when it is relevant and timely to the story. Notice that I haven’t mentioned what the character looks like. My comment about describing characters in excruciating detail in Rule 4 refers to appearance, not substance. When we talk about shallow, superficial characters, we’re talking about appearances, and as we all know these are misleading. In fact they’re a great opportunity for an author to play with pre-conceptions, setting expectations only to twist them later to reveal something new and interesting. Now that you know the character as a person, it’s time to introduce another dimension – time. The one thing that will define a character more than anything else is the decisions they make over time. Ultimately it’s not what we say that matters, but what we do, and by presenting characters with a dilemma and forcing them to make a choice, we see what kind of person they really are. When those decisions are profound, we gain insight into the depth of that character. How do they react physically: Do they start shaking, screaming, fighting, hiding, running..? How do they react emotionally: Are they happy, sad, afraid, bewildered, resentful, amused..? How do they react spiritually: Are they changed? Have their values shifted? Is this a crisis of belief? Is it a moral choice..? The other aspect of this is that when the dilemma is decided it must ring true for that character in that circumstance at that time. If the reaction is out of character then the reader will not accept it and the character will appear random or unpredictable – revealing little but the surface. So the development of the character over time through the story must support the dilemma that the character must eventually face and lead the reader to understand that the decision is neither straight-forward or simple, making the decision valid and understandable, even if it’s the ‘wrong’ decision. A character faced with a true dilemma making a genuine choice reveals depth – whether we agree with the decision or not, we know them better as a person and that’s what it takes to bring a character into 3D. 3. Words are interchangeable, it’s what you mean that’s important. The English language was created to mislead you. Take the words ‘right’ and ‘wrong’. Clearly, the word ‘right’ is misspelled, since ‘write’ goes with ‘wrong’ and ‘right’ should be paired with ‘left’. Also, ‘their’, ‘they’re’ and ‘there’ should be synonymous and interchangeable. Feel free to impose your own logic on the language as many people have before you. You could be forgiven for thinking that the English language was indeed created to mislead. The language is complex, inconsistent and, at times, preverse. Take the words bough, through, thought, cough and rough. In five similar words, the letters ‘ough’ are sounded out as five different vowel sounds. Even for native English speakers, this makes spelling a matter of learning and familiarity, not of systematic understanding. This can make it seem daunting. My comment about imposing logic is not without grounds, either. In some ways English isn’t one language, but many. In a survey done by computer in 1973, it was estimated that English was in origin: 28% old Norman, 28% Latin, 25% Old Germanic and 5% Greek with the rest being made up of fragments from elsewhere or even made-up words – the word television, for instance, is a composite of the Greek TELE, meaning far and the Latin VISIO, to see in person. To put this in perspective, Basic English includes about 850 words, and the General Service List (compiled of words from which most English can be understood) includes about 2,000 words. If you have excellent facility with English then your vocabulary might be as high as 60,000 to even 100,000 words – still a fraction of language as a whole which may be over 600,000 words. “When I use a word,” Humpty Dumpty said, in a rather a scornful tone, “it means just what I choose it to mean—neither more nor less.” ~ Through the Looking Glass: Lewis Carroll. This may be true for Humpty Dumpty, but writing is about conveying meaning and building a shared understanding between writer and reader. When your writing is published, you send it out into the world without the chance to clarify its meaning. People will either understand it or they won’t. It’s rare, particularly with fiction, for the reader to keep a dictionary handy in case they encounter a word they don’t understand, and if they take a moment to look up a word then they’ve broken out of the story, de-pacing the plot and breaking the suspension of disbelief. You might think, therefore, that it is best to use only the simplest of language, to choose words perhaps from the basic list of 850 and therefore keep your reader’s attention. That has its own risks, though, as readers tire of the same words being used repetitively, the prose lacking depth and colour, the character voices all the same. This is the dilemma that writers face. They must choose a word, a phrase, an epithet, which illustrates the meaning while maintaining the rhythm and tone of the story. Each choice is crucial and characterises the writer’s skill in communicating the plot while depicting the characters in the context of the scene. It doesn’t always have to be a word the reader would know – context is all and, with skill, the writer can build a framework around an esoteric word to support a reader who doesn’t have the word in their vocabulary. This in turn expands their lexicon, building in richness and variety. Developing these skills means reading, not as a reader – immersed in the story and blind to the words – but as a writer, examining the author’s word selection and deciding whether you would have chosen a better word, something more apposite. Give yourself a moment to appreciate a new or unexpected word-choice and become conscious of timbre, rhythm, tone, pace and harmonic form. Develop an interest in etymology, the origins of words, for they have surprises in store for you. Look up, for instance, the evolution of the word ‘nice’. Its usage today is in contrast to its history, and that gives it a new context and a depth of meaning when you use it. A nice shot, a nice day, a nice cake, playing nice, niceness. To write well, you need to learn to love words. it’s one of the subtler pleasures of writing to find the right word for the moment and use it sparingly and precisely, delivering exactly the nuance you require. It has the satisfaction of an accurate shot or a dive that leaves only ripples, something done perfectly and apparently without effort. Like many things it comes easier with practice and repetition, but it takes concentration and effort, just like that perfect dive.